This is a community event, which we hold each year before Easter. It’s a great way for us to get to know the community around us, and for them to know us! It’s also a great opportunity to hear the Easter story afresh. Gates open at 4pm, and we’ll serve up a free sausage sizzle at 6pm. 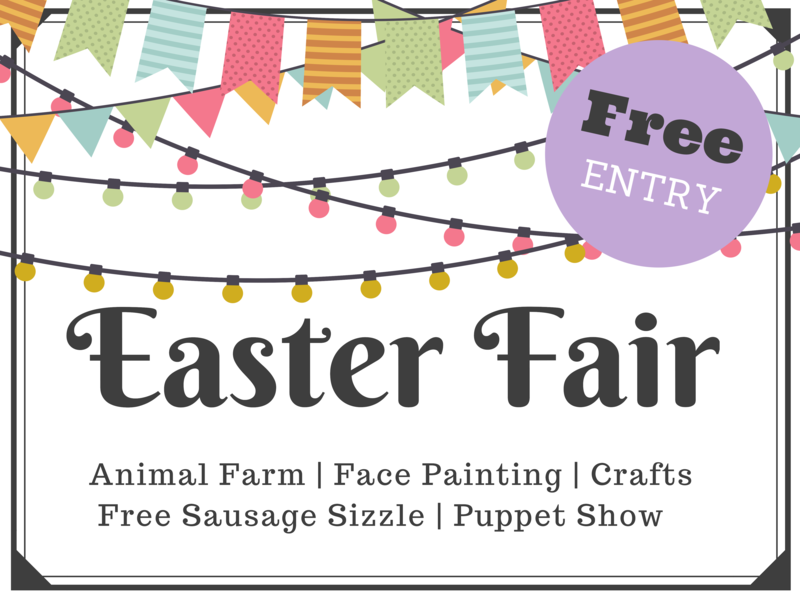 Come on down, and enjoy all the free activities, including an animal farm, Easter egg decorating, face painting, a puppet show, and marshmallow toasting. Kids, make sure you register when you arrive, so you get your FREE showbag! The event starts from 4pm, and usually winds down just after 7pm. You’re welcome to come and go as you please, and enjoy as many of the activities that you want to. Everything is FREE on the day, including all of the activities, the animal farm, sausage sizzle (which is served at 6pm) – and we’ll even be having free ice-creams from 5pm. We will have people helping to direct you to parking on the day (using street parking and local facilities). This is a smoke free, alcohol free, and pet-free event.